If it’s been a while since you last visited your Alltel Portal, you’re in for a big surprise! We’ve been busy these last few months, and have just finished putting the finishing touches to our new and improved (and much prettier!) portal. The My.Alltel portal provides you with a single point of access to all of the information about your account. View details about each one of your services; view invoices and pay bills online; request assistance from our Support team and view the progress of any open support requests; and view detailed reports that show information about your services and billing history. Admin users have full access to everything in your portal, including the ability to add and edit user accounts. Billing users have access to your invoices and billing information, and have the ability to pay bills online. This is ideal if you outsource your book-keeping. Reporting users can generate and view reports about your services. These are the details that your Marketing team will love! Your Dashboard is the first screen you see when you log in to the My.Alltel portal. 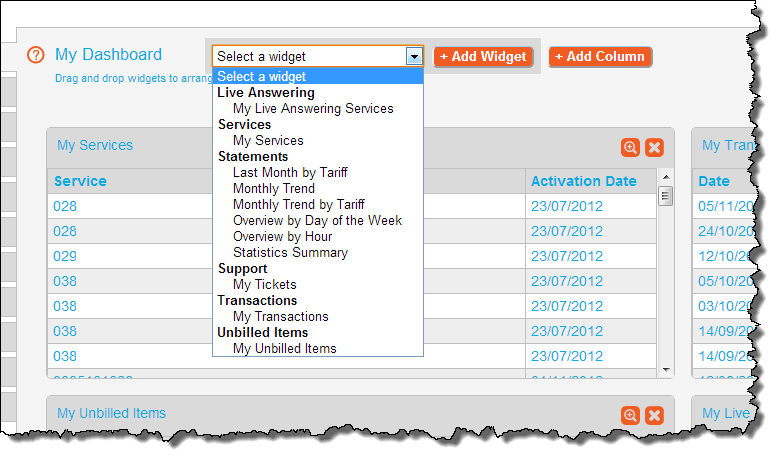 This is a fully customisable page that allows you to select the information that is most important to YOU. Use the Dashboard to see all key information “at a glance” when you first log in to your portal. The new My.Alltel graphs provide you with a fast and easy way to see what’s going on with your services. View reports that show you both detailed and summary information about your services, usage, and billing history. Compare usage trends month to month, by the day, or even by the hour. 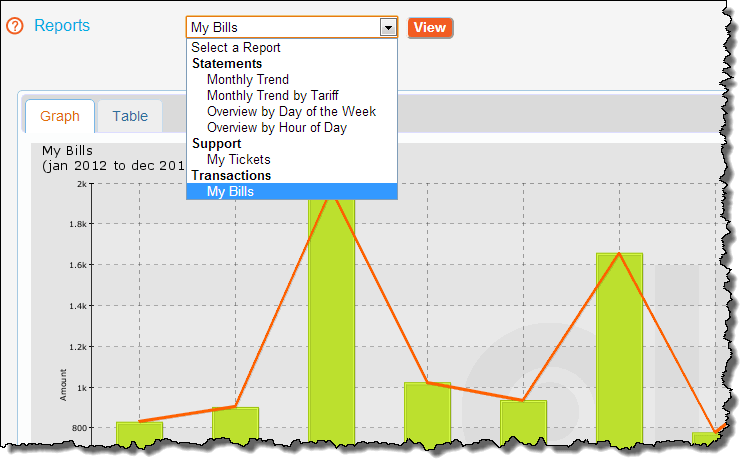 View detailed information about your monthly costs (both in graph and table format). Got a question or a problem? You can now send requests to our Customer Support team directly through the My.Alltel portal. We’ve also added an area for FAQs, where we’ll provide answers to your most frequently asked questions. Got questions about billing? The portal also provides detailed information about each service, including your previous invoices plus any unbilled items for the current month. Log in to https://my.alltel.com.au (with the User Name and Password you were provided when you first opened your account), and start taking advantage of these new features and functionality today!